Black and white. The two most versatile colors you can buy and wear year round (I don’t agree with the “no white after labor day” rule). 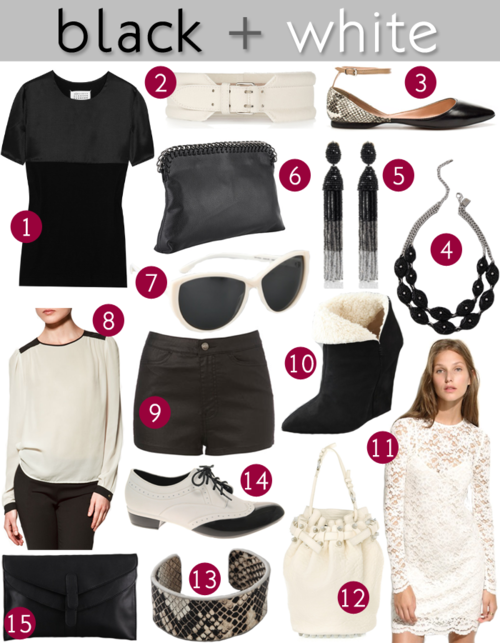 Easy to mix and match with a variety of other colors, black and white pieces really are the best investments you can make. Here are some of my faves from around the web – I just purchased the Alexa Chung for Madewell dress which I plan to pair with black tights, ankle boots and a blazer.